So I think I've written this post in my head a million times, but once again getting back into the swing of blogging is getting the better of me, that and not feeling too fresh. So here we are, 14 weeks pregnant. I guess I should start from the beginning really shouldn't I? As many of you will know we suffered with a miscarriage last year and I think in an attempt to not fully deal with the emotions of what happened I threw myself into the whole 'must try to get pregnant as soon as possible' routine as a way to replace the lost pregnancy and not have to deal with the fact that it was just that, lost. We tried ovulation tests, I didn't drink, was scared to exercise properly because "just in case" and put my life on hold, and to be honest it sucked. Obviously I was dealing, or not dealing as the case may be, with lots of different emotions. As the months of disappointment kept on rolling by I was trying to keep a brave and hopeful face but in reality I don't think I was coping very well. The due date soon came around, six months later, and it actually made me feel better. I felt relief that it was all over, and the thoughts of "I would be this pregnant by now..." faded away. It felt like the baby that wasn't meant to be was finally over and I felt a little more relaxed and if anything allowed myself to feel something for what had happened. I woke up from some sort of daze and we decided to stop trying, that it was just too stressful and neither of us were enjoying the whole routine. The month of April (the month the baby was due) I kept myself busy, I finally came out of hibernation and saw friends and families and took trips that I just didn't have the energy for before. I stopped over analysing every twinge or change that I felt in my body, I deleted the ovulation apps so wasn't entirely sure where I was in my cycle and I think I actually felt normal for the first time in a long time. Then lo and behold, I had a feeling, took a tentative pregnancy test, and there it was, a very faint second pink line. So perhaps it is true what they say, that when you take the pressure off then may it happen more easily. The funny thing was though is that when we were planning and trying we always said that we would give April a miss, as that was the month we conceived Theo and didn't really want two birthdays close together. But perhaps again it's true when they say that it's the babies who choose when to come. So that was it, ironic perhaps, but there all the same, our second January baby. I wouldn't say its been all fairytales since then. I had and still do have pretty bad anxiety about the whole thing, we had a mini scare at 7 weeks with some spotting but an early scan found everything to be ok. I still wouldn't let myself believe it was really happening, but still not wanting to believe it was doomed, a strange way to feel. I was feeling pretty awful, completely drained, sick and just not human! All good signs I guess, but not great when you're trying to function everyday. I missed quite a few weeks of work and I think the anxiety held me slightly captive as I was afraid to do much just in case. I could barely look at the computer screen or even my phone, and as strange as it may sound the thought of taking photographs or editing made me feel sick. Hence my lack of posts and social media presence (not that it's that great anyway!). 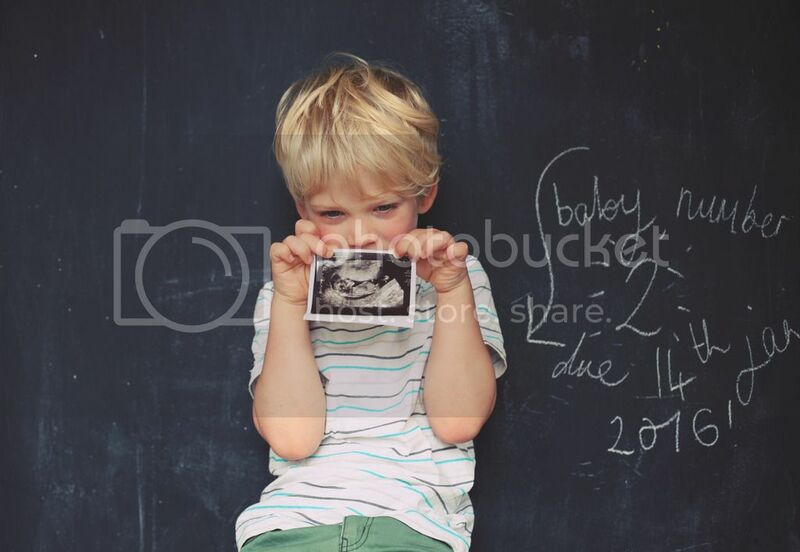 We only told a very few amount of people, those who we did mainly out of necessity and actually didn't tell Theo properly until after the scan. I had the scan at 12 weeks, but they actually dated me closer to 13. 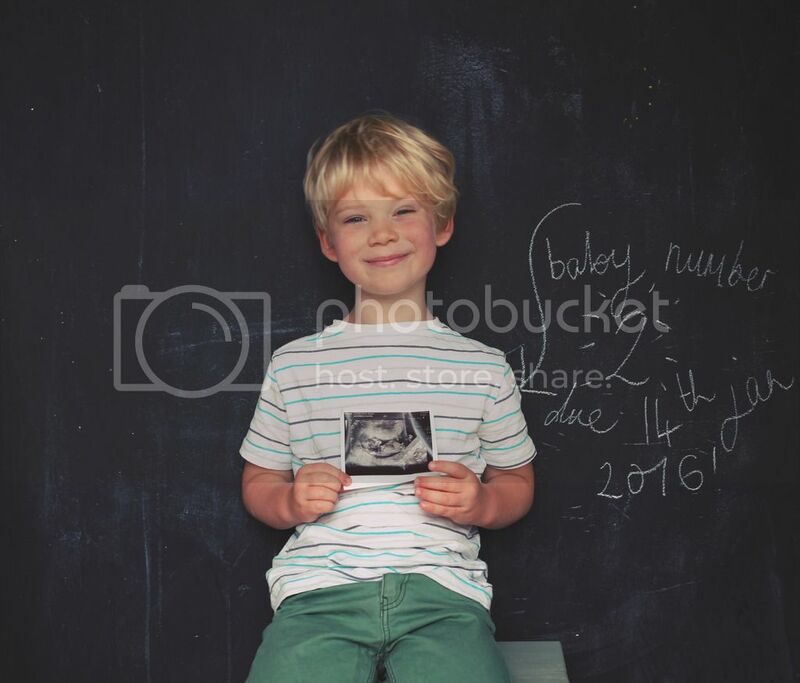 I don't think I've ever felt so nervous, and when we were called in and the image flickered on screen I couldn't look before I knew for certain from the sonographer and Rob's reaction that all was ok. I felt tears of relief fall on my cheeks as we watched the little black and white image of the baby wriggle about on the screen. Another very active baby. I let myself believe a little more that this was real and everything was OK, but there's still a little something I know probably won't go away until I have the baby in my arms but I guess that's slightly normal, right? So there we are, I'm still suffering with sickness, tiredness, insomnia and the horrible ingestion thats been plaguing me for months, but I do feel (touch wood) to be slightly getting better. I've had two sessions of acupuncture that have helped immensely (one night I even stayed awake until 10pm!) and life is starting to get a little more manageable once again. Even though this week I've had a bit of a lapse.